If I get a ticket in NJ that carries points, should I plea to Unsafe Operation (a no point ticket)? Should I Plead to a NJ No Point Ticket (Unsafe Operation)? Many people contact my office with a speeding ticket or other New Jersey traffic offense that carries motor vehicle points looking to avoid them, if possible. Many people contact my office with a speeding ticket or other traffic offense that they received in Southern New Jersey, looking to avoid the points, if possible. The solution is often the "unsafe operation" statute, but ironically, that is not the only (or necessarily best) course of action. Believe it or not, sometimes taking the hit on the points is a better way to go. court costs of about $33. With a minimum fine, that comes to $333, instead of $83. If you have plead to this once before in the past five (5) years and are a second offender, then the fine is $100 to $250, so with minimums, it would be $383. Obviously, that speeding ticket would be a cheaper way to go, depending on your driving record. If you get six or more points within three (3) years, you will be assessed a surcharge. If you amass 12 or more points within a 2 year period, your license will be suspended. If you are close to either of these thresholds, a plea to Unsafe Operation would most likely be the best way to go. You should also check with your insurance agent to see if the points would have any negative effect on your auto premiums.Bear in mind also that points can also be removed from your driving record. The bottom line here is that in most instances a couple points on your license is not the end of the world. 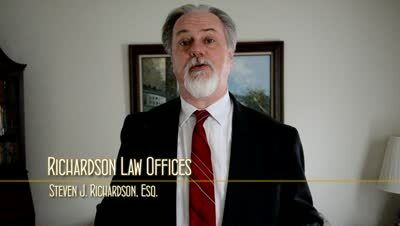 If you received a ticket in Camden, Gloucester, or Salem County, New Jersey, and are looking for an attorney to represent you, feel free to give me a call at 856-432-4113 or contact me through this site to schedule an appointment in my Woodbury office to discuss what course of action is best for you before making any decisions. If you are looking for more information on New Jersey's traffic laws, then download my free book, A Guide to Driving Legally in NJ, and Surviving Traffic Court If You Don't. What is a NJ no point ticket for unsafe operation? How do I get rid of points from my NJ driving record? ?What Are the Restrictions on a NJ Probationary License? ?What Are the Restrictions on a NJ Student Learner's Permit? ?What Are the Penalties If I am Convicted of Careless Driving in NJ?